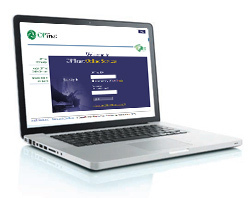 OPTrust Online Services gives you access to your personal pension information in a secure web environment. Our site is best viewed with newer browsers, such as Internet Explorer version 11 or higher. send and receive messages about personal pension information in a secure (encrypted) area. See the Secure Employer Site section of the Employer Manual for details on how to set up an account and the various roles. Online Services...your pension information at your fingertips.